Ishak Efendi, one ot the surgeons of Fatih Sultan Mehmet period, had this mosque built, Kazancı Kulu Yusuf Sinanuddin Efendi who served as the Cadı of Baghdad and as a muderris (professor) at the Madrasah of Sahn-i Sernan and who died in the year 1600, had it repaired in later years. 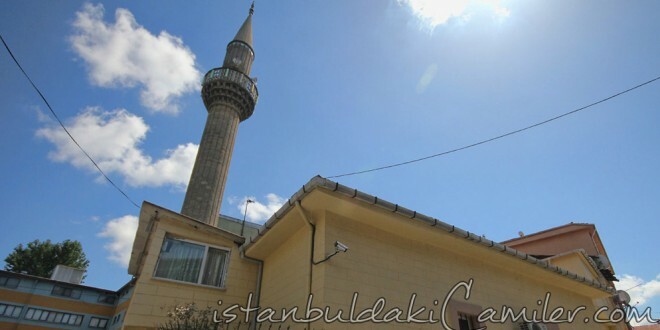 Thus, the mosque is also known with the names “Cerrah Ishak Mosque” and “Kazana Mosque.” Having demolished in time, Nalbant Mosque remained in ruıns for years. The mosque, the minaret of which is built in the first place in the year 1968 was rebuıit by the helps of the benevolent people in 1979. There is nothing origınal left The mosque whose walls are made of stones and bricks has a wooden roof that is covered with tiles. Its minbar and dais are of wood too. It has a little ablution fountain section in its little threshold. It has a single balconled minaret with a door from outside.